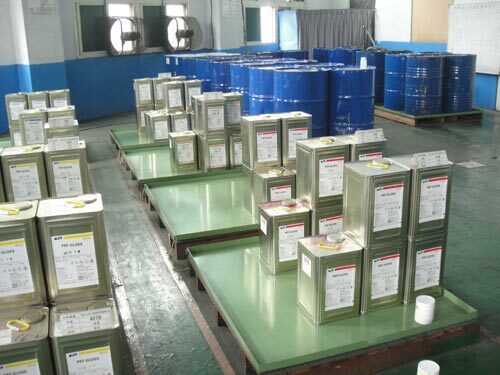 Industrial Safety and Environmental Protection-Formosa Taffeta Co., Ltd. Ensure compliance with relevant safety, health, and environment regulations and other reasonable demands of stakeholders. Make good use of the Safety, Health, and Environment Administration System to strengthen pollution prevention and reduce hazardous impacts. Promote hazard identification, risk evaluation, and risk control to prevent damage and health hazards. 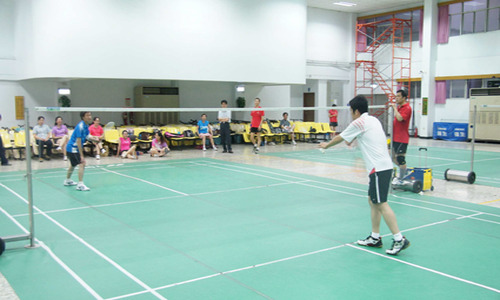 Promote energy conservation and reduction to reduce the impacts of environmental damage and hazards to health and safety. Strengthen neighboring relationships, establish good communication channels, enforce routine inspections, ensure reviews, and seek continuous improvements. Since the establishment in 1973, FTC has operated in conformity with governments’ policies and actively made contributions to the development of the national economy and the prosperity of the society. Under the business philosophy that environment, safety, health and economy should be given equal emphases, FTC has taken hazard identification and risk management into consideration for health and safety management. 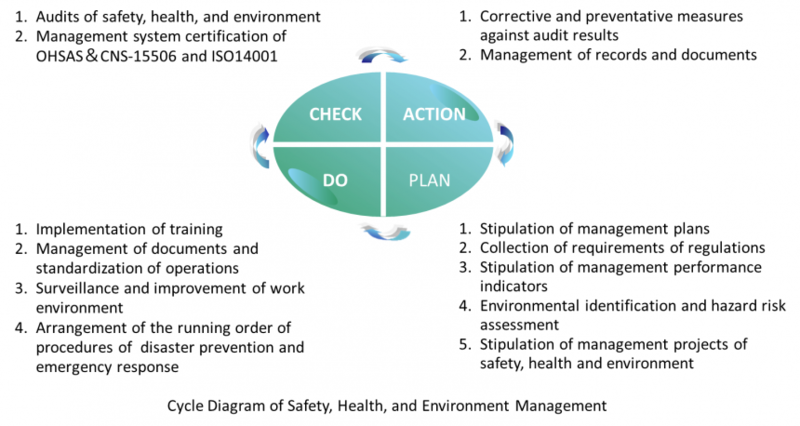 To fulfill objectives of health and safety management, FTC adopts the PCDA cycle (Plan, Do, Check and Action), puts all operations, safety and health related affairs into standardization, documentation, and procedures, continuously conducts examinations and discovers problems for instant corrections, and implements continuous improvements and enhances the performance of health and safety management trough risk management. Certification of OHSAS-18001/CNS-15506 has been renewed once every three years since June 2009. With the business philosophy—richly cultivating Taiwan, reaching out to the world and sustainably growing—and deep realization that the social environment, climate change and business management are inseparably connected, FTC has made its commitment to environmental management, such as pollution prevention and control, research and development of eco-friendly processes/products, efficiency enhancement to energy-saving and reduction of emissions/effluent/waste, and so forth. To prevent hazards of hazardous chemicals, a written Hazard Communication Program is formulated to ensure that all workers are knowledgeable about those potential hazards and that the usage conforms to the hazard communication standard. 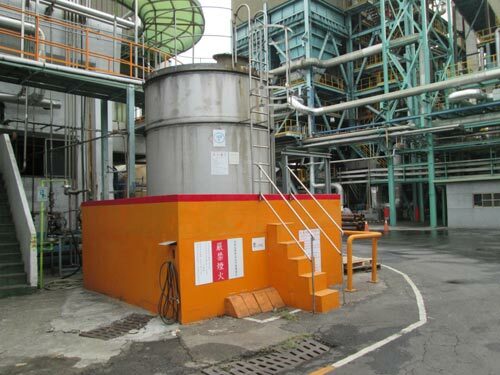 To further avert hazards as a result of the spill of chemicals, for sites that chemicals are stored and the periphery of equipment, such as storage tanks, pumps, etc., spill prevention dikes with adequate height or similar mechanisms with spill prevention function are installed. Moreover, FTC will routinely educate and train workers to correctly use personal protective equipment (PPE) contingent to the surroundings of the workplace and adopted chemicals and oversee how workers use that equipment at work. To protect workers’ safety and health thorough understanding of the work environment, FTC establishes the Surveillance Assessment Group to draw up the Work Environment Surveillance Program that is based on sampling results of conditions of the work environment and worker exposures, and asks specialized third-party environmental testing organizations to conduct regular inspections of the work environment. In view of industrial characteristics, employee noise exposures in some of FTC’s sites are relatively high. To prevent hearing loss from workplace noise, FTC has traced workers’ health conditions through reviewing their previous special health examination records and conducting noise exposure sampling for those who work in sites with higher noise exposures, trained workers for hearing protection, taken noise measurements, purchased adequate and effective hearing protectors (earplugs or muffs), required workers to wear such equipment, and asked each unit to strengthen isolation of noise sources. Before new employees report for work, they must proceed to designated certified hospitals or medical institutions for general health examination and complete the “Employee Health Examination Booklet”. 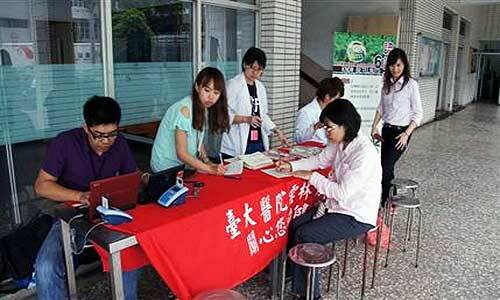 Employees and workers should comply with the following regulations to regularly undergo general health examinations. The inspection frequencies are once every 5 years for those who are under 40 years old, once every 3 years old for those who are between 40 and 65 years old, and once every year for those who are over 65 years old. For new employees working in especially hazardous operations, they should undergo a Special Health (Physique) Inspection at designated certified hospitals for inspection items stipulated by the regulations of the special hazard workplace within one week of reporting for work. The results of the inspection will be used for comparison with the “Diseases Deemed Unfit for Operation” as the basis for dispatching work. A worker who is assigned to the workplace with specific hazards or dispatched from one such workplace to another must take a special health examination on legally specified items operated in that newly assigned workplace before such assignment becomes effective. If the examination result reveals that the working circumstances are not friendly to that worker, no such assignment will be executed. For current employees working in especially hazardous workplaces, the Company will implement the Special Health (Physique) Inspection annually in accordance with regulations. In accordance with the onsite service frequency and staffing requirements of the “Staffing and Onsite Service Frequency of Physicians Conducting Labor Health Services” and “Staffing of Nurses Conducting Labor Health Services” stipulated in the “Labor Health Protection Regulations”, the Company has employed or commissioned physicians and nursing personnel to offer onsite labor health services. 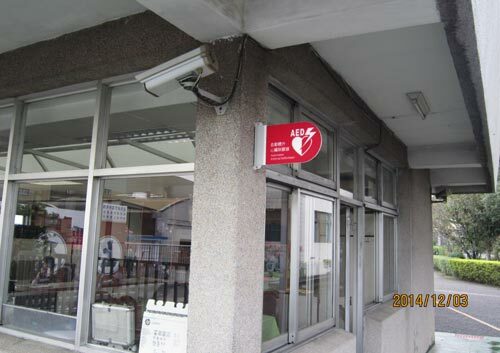 Due to the increasing threat of cardiovascular diseases to human health in recent years, the 1st and 2nd Plant in Taiwan have established Automated External Defibrillators (AED) in the Security Offices of both plants to strengthen emergency medical care. When the Security Office receives an emergency report, they will immediately notify medical and industrial safety personnel and then dispatch an ambulance to the location of the report for emergency patient transport. 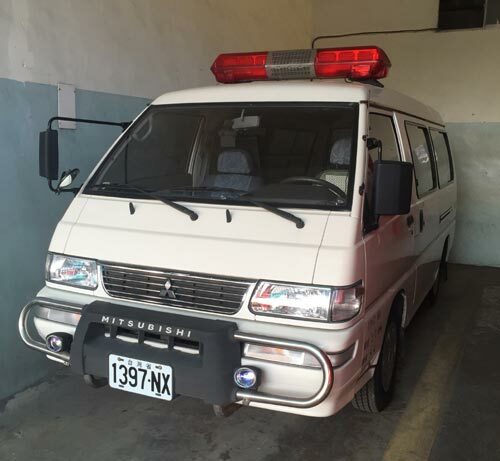 The ambulance will be equipped with an AED and other necessary medical equipment in order to be prepared for other unexpected situations. 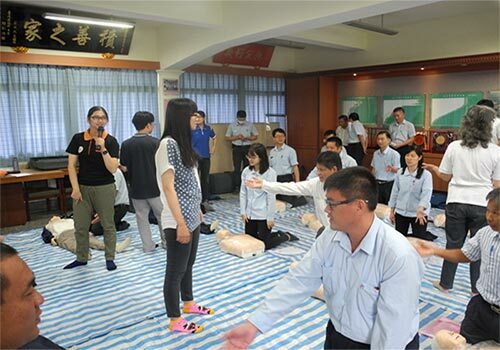 Currently, 37 personnel in Taiwan Plants have obtained AED certification. The Plant infirmary is responsible for the maintenance of the AED, as well as organizing regular AED operation training sessions. 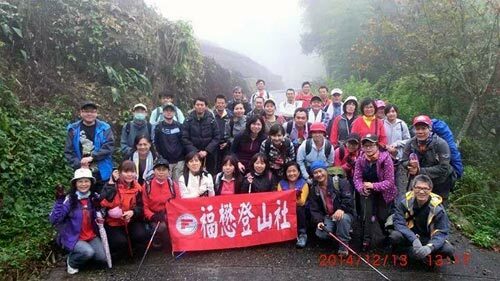 With regard to conducting workplace health promotion campaigns, the Company will plan and organize activities, such as health education and health guidance, and other related health promotion activities every year. FTC acquires legal air pollution operating permits for all processes, having each emission flue regularly inspected and inspection results reported to the Environmental Protection Bureau (EPB). 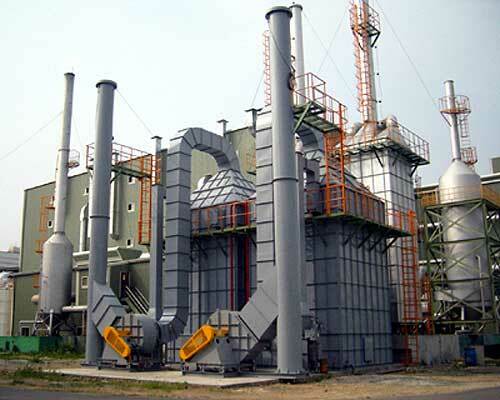 Pulse Jet Baghouses, Electrostatic Precipitators, Flue Gas Desulfurization, etc. are in place for cogeneration, and the Continuous Emission Monitoring System (CEMS) is further installed and connected to the EPB’s system to allow EPB to supervise FTC’s operation. All heat setting machines of D&F plants and all dipping machines of tyre cord plants are equipped with scrubbers and electrostatic oil mist collectors to collect waste gas and eliminate part smoke and oil mist and unpleasant smell. For VOCs reduction, Condenser plus VOCs reclamation devices, applying Fluidized-Activated-Carbon (with built-in Adsorption /Desorption Towers) are installed and multiple control equipment is adopted to collect fugitive emissions and emissions of flues to attain targets of VOCs reduction by removing more than 90% of VOCs of processes. All results of qualified testing organizations’ measurements meet not only emission standards but also legal requirements of the Environmental authorities’ on-site audits. 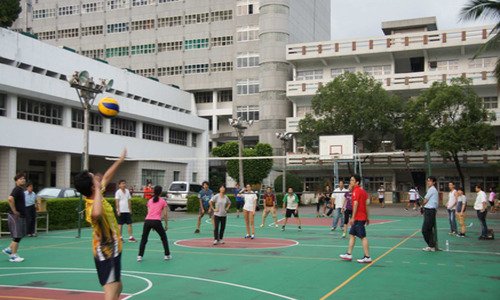 To effectively keep noise nuisance from worsening living quality of the neighborhood community, besides engineering advances, FTC establishes noise barriers around the periphery of the factory sites and asks qualified testing institutions, approved by the Environmental Analysis Laboratory of the Environmental Protection Administration of the Executive Yuan, for noise measurement. All those measurement results meet requirements. In main plant, FTC, in 1998, spent one hundred and seventy million new Taiwan dollars in building a wastewater treatment plant and, in 2014, 7.2 million new Taiwan dollars in completing the establishment of auto wastewater discharge monitoring system for self-monitoring control whose data of quality of wastewater synchronizes with that of the authorities. In the second plant, 8.5 million new Taiwan dollars was spend in recovery of wastewater of woven machines with recoverable 1,500 tons of wastewater, 65% recovery rate. With such expenditures, wastewater of these two plants can be efficiently dealt with to meet discharge criteria. Various industrial waste is first sorted as required. The recyclable one will be reused; otherwise, that will be sent to qualified clearance and disposal organizations for further treatment in conformity with law. 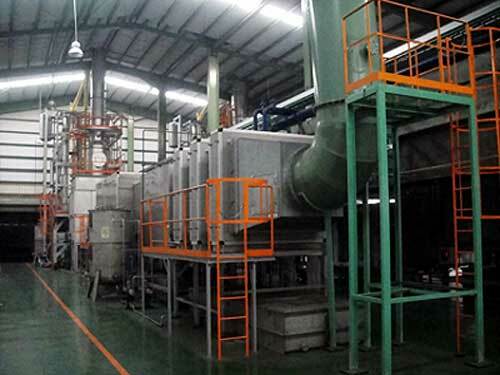 In 2012, FTC spent 25 million new Taiwan dollars on substituting revolutionary vacuum-type sludge drying systems, applying steam to the chamber and utilizing vacuum technology for indirect drying, for old ones. Such drying technology contributes to 65% sludge reduction through great decrease of the moisture content of sludge cake and thereby achieves targets of waste reduction. FTC’s Energy Management Policy is stipulated by the Energy Management Committee based on FTC’s own characteristics and published after receiving the President’s approval. It says that FTC will take its social responsibility by supporting the establishment of enterprises that are positively protect the environment, conserve energy and generate low carbon emissions, following the national policies on energy conservation and carbon reduction and Energy Management Regulations, continuously improving the energy consumption performance, increasing the procurement of energy-saving products, providing resources for achievements of energy targets and goals, and regularly reviewing those targets and goals. Climate change will cause extreme climate, including increasing high summer temperatures, uneven rainfall, etc., that will leads to more electricity consumption for cooling at production zones and instability of water supply, resulting from the extension of drought period . The Eco-friendly Energy-saving & Waste-reducing Promotion Group is established to respond to substantial risks through recovering waste heat and preheating boilers with thermal energy of waste heat for less fuel consumption and through less water consumption during production, water-saving measures, decrease of evaporation loss, reclamation of wastewater, etc. Impacts of climate change have rendered energy conservation and carbon reduction in the spotlight. Because of realizing of this and that pollution prevention is an elemental part of energy conservation and carbon reduction, FTC makes every effort to implement source reduction of effluent discharges, waste gas emissions, and wastes generation and End-of-Pipe, which can generate multiple benefits, such as the normal operation of production equipment, better environmental conditions of surroundings, less waste of resources and energy, lower operation costs, etc. FTC formed the Greenhouse Gas (GHG) Inventory Promotion Team in 2012 and created the database for the GHG inventory (including Scope I and Scope II). In 2014, it further passed the verification of the GHG Inventory in accordance with ISO 14064-1 requirements and thereby received SGS’s opinion statement of ISO/CNS 14064-1:2006, which assured the accuracy of reported data of GHG emissions. The Eco-friendly Energy-saving & Waste-reducing Promotion Group is established for such issues; monthly performance reviews and exchange of know-how of reduction\conservation are executed; improvements are kept going through drawing up improvement proposals and holding observation seminars and various counseling activities; periodical on-site counseling and effectiveness checks are performed to find out causes of being unable to attain goals for every unit and propose improvement measures; expected progress and effectiveness of improvement projects are proposed seasonally; employees are encouraged to propose IE proposals for overall implementation of energy-saving tasks. 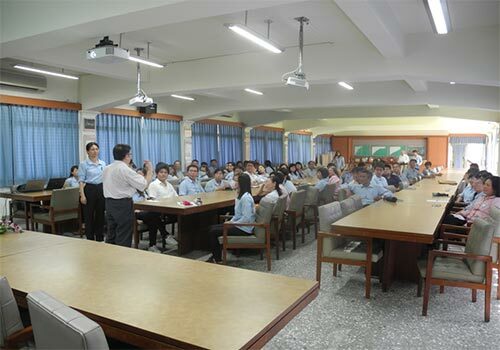 Annual plans of the number, investment amount , saved amount of water, and reduced amount of CO2 emission of improvement tasks are planned by the Eco-friendly Energy-saving & Waste-reducing Promotion Group.